The Niagara region in Ontario, Canada can be one of the most popular bachelorette destinations. 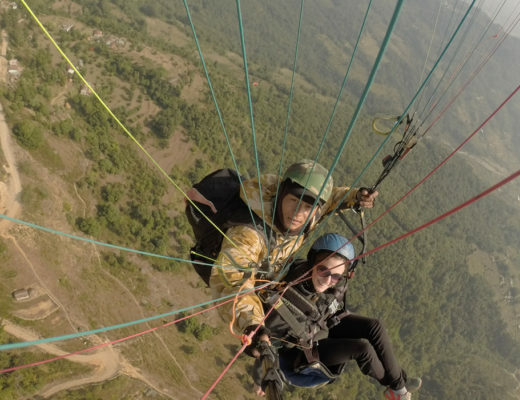 What attracts most people to the area is the long list of wineries, however there is also a ton of other activities nearby which makes it a great destination to plan a weekend away to celebrate the bride to be. I’ve compiled this post based off of a few bachelorettes I’ve been to in the area in the last few months. Do you have suggestions for people planning a bachelorette in Niagara? Share in the comments! I’d love your feedback. There are literally tons of places that suit different price ranges to stay for a bachelorette in Niagara, but the first question you need to ask yourself is if you want to stay in Niagara Falls or Niagara-on-the-Lake. Niagara Falls is a tourist hub in Canada and therefore it has basically everything possible you could need in terms of entertainment around it. Niagara-on-the-Lake, although busy in the summer as well, is much more of a laid back retirement town which is a great place to base yourself for wine tours, however not so great if you’re looking for a wild night out. When you determine what spot is best for your home base, here is a full list of places to stay in Niagara Falls. Opt for a hotel and a room with a view of Niagara Falls! For Niagara-on-the-Lake it’s known to be a great bed and breakfast destination and there are a ton to choose from, alternatively if bed and breakfasts aren’t really your speed, there are also some hotels in the area. For my friends bachelorette this past April we stayed at 124 Queen Hotel & Spa which was fantastic because the rooms were more apartment/condo style meaning we had a full kitchen to cook meals in too! The Prince of Wales Hotel is definitely one of the most famed in the downtown area of Niagara-on-the-Lake however it might be out of your price range depending what you’re looking for. Lastly, a good option for a bachelorette, especially if you have a ton of girls is to look into an AirBnb. For my sisters bachelorette we had about 15 girls so this was definitely the best and most cost effective option. We managed to find a house walking distance to the main Niagara Falls strip that held all of us! However, it’s important to note for AirBnb’s and hotels that these areas are very touristy and busy in the summertime, so if you’re booking for the summer (June, July & August) make sure to book in advance! 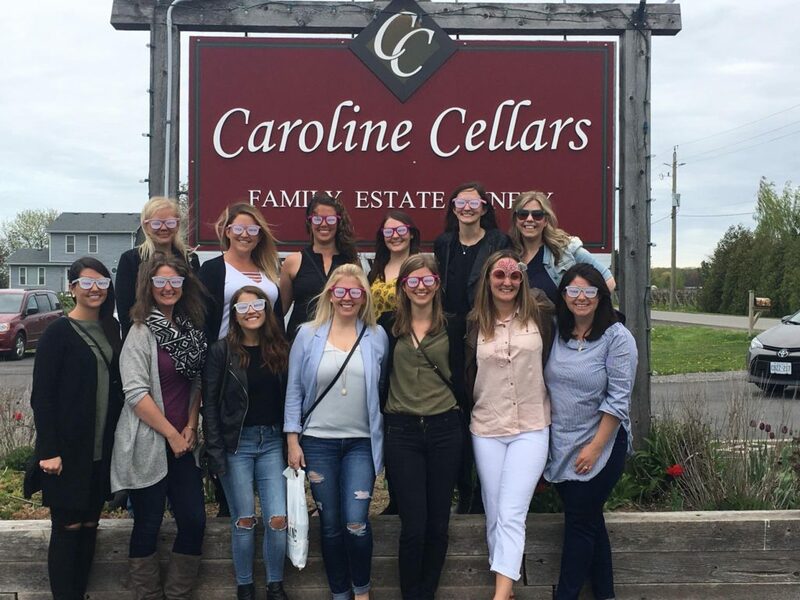 Wine tours are one of the most popular activities in the Niagara region and often the reason why most people choose to host bachelorette parties here. 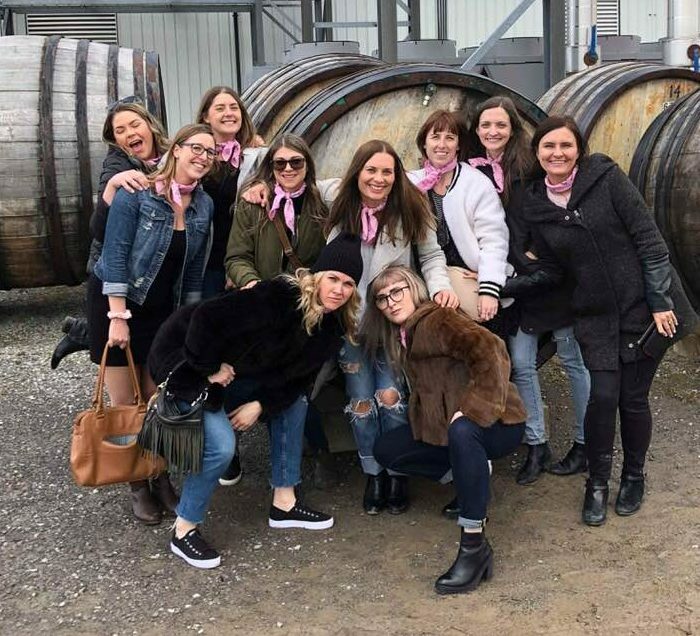 The majority of wineries exist in or close to Niagara-on-the-Lake versus Niagara Falls, however, many companies will offer free pick-up or shuttle from major Niagara Falls hotels, or alternatively if you’re booking a private tour this can usually be arranged. When it comes to wine tours you’ll usually hit about four in one tour. 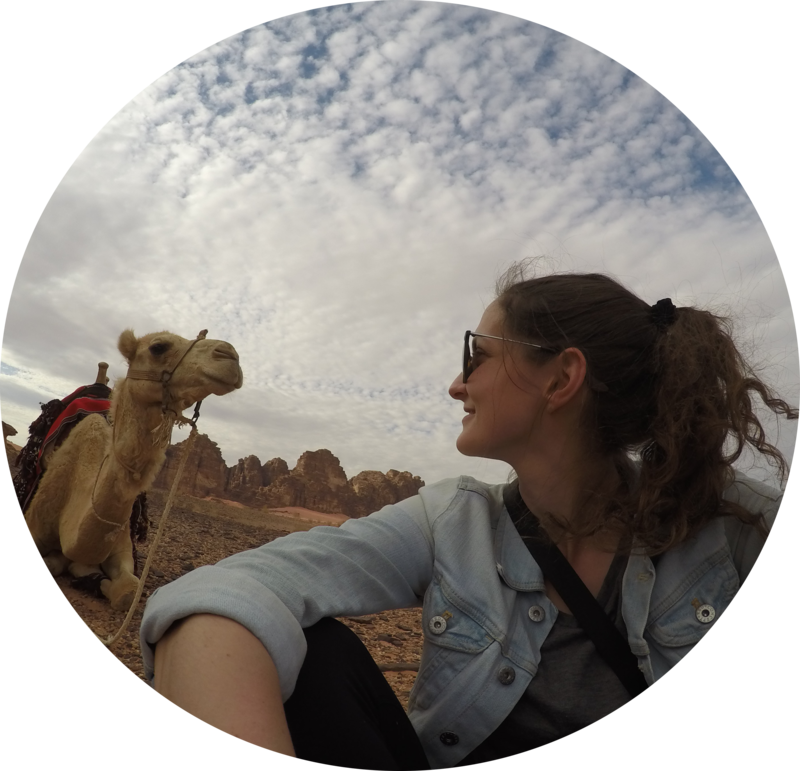 These tours often start around 11am and go for about 3-4 hours depending on what you choose because there are a ton of different packages available. 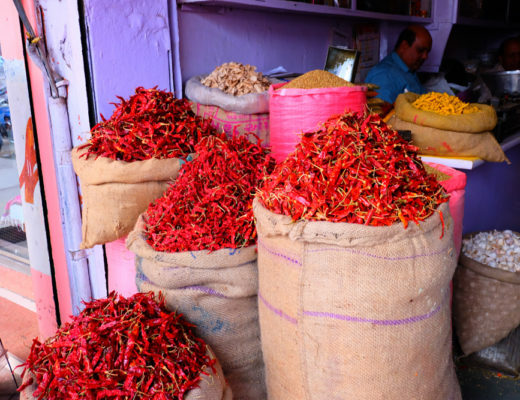 There are packages that include meals, bike tours, limo packages, etc. I did a tour with Grape Escapes by bike and then for my sisters we booked a private limo company because of the amount of people we had. Another option if you’re feeling more adventurous is to just rent a bike and do your own tour (Zoom Leisure offers rentals). If you choose to do an organized wine tour wine samples will be included, otherwise they usually run for around $8-$10 at each winery for a sampling. Alternatively, if you decide to have a more low key night in Niagara-on-the-Lake, basically the only places you can go out are The Olde Angel Inn or The Irish Harp both usually have live music on weekends (check the bars websites) and are pretty small pubs. Go early during busy season as since these pubs are relatively small, they do get busy. There is a ton of things to do in Niagara, especially in Niagara Falls. Niagara Falls is obviously made famous by the falls themselves. If you want to be extra touristy you can opt for a boat ride around the falls with Maid of the Mist, you can walk the main strip (Clifton Hill) visiting the random haunted houses and fun, quirky museums like the wax museum or Ripley’s Believe It Or Not, or if you’re adventurous you can do the new zipline that gives you amazing views of the falls. Lastly, if you want to gamble a bit, Fallsview Casino is right in the core of the city. Other options outside of Niagara Falls, but still close, is to go on a salmon fishing charter to head out on Lake Ontario and fish! For my sisters we used the company Get It Wet. 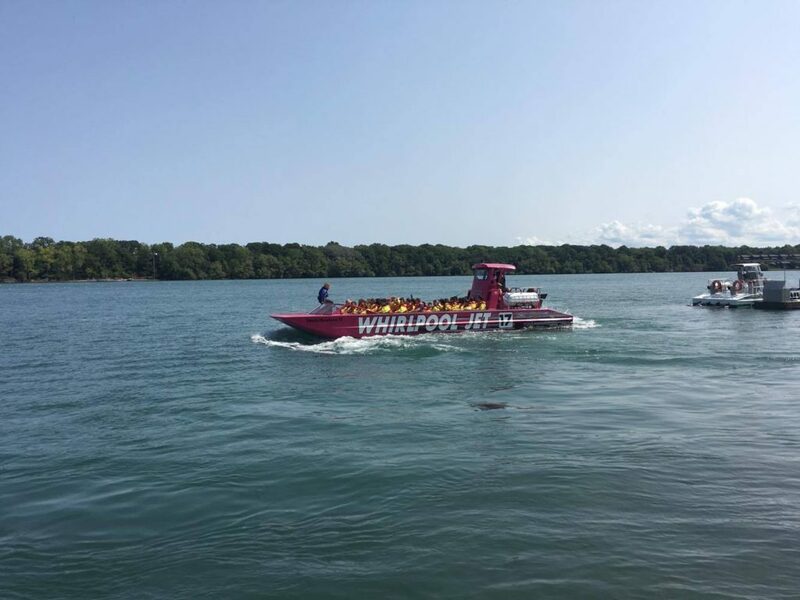 You can also go on a whirlpool boat ride in either Niagara Falls or Niagara-on-the-Lake if you’re feel adventurous and don’t mind getting wet! As you can see there is a ton to do in the Niagara area and I can guarantee your bride to be will have so much fun here!